I had stopped a speeding driver and was serving a copy of the violation ticket to her when I noticed a pickup truck pull in behind my police vehicle. When the ticket recipient pulled away the male driver exited his pickup and approached me. “You can’t write speeding tickets here.” he stated. I didn’t recognize him as a ranking member of the RCMP who had the authority to give me such an order so I suggested that he may have been confused by photo radar policy. He responded that he wasn’t and repeated his opening statement. Yes, this is an old story, but I think it’s a good one that is still valid today. I asked him to put himself in my place and tell me what speed a driver wouild have to be traveling before he would write a speeding ticket in this location. It was a fairly steep downhill leading into a set of sharp, winding corners with an advisory speed of 30 km/h. He suggested that 95 km/h in the 80 zone would be his trigger. The vehicle I had just finished up with was doing 103 km/h. “Oh.” he said. I asked if he browsed the web and when he said that he did, I gave him a handout on our unit’s web site. I explained that this was a high collision area and that he could satisfy himself of that by checking data on the web site. “Oh.” he said. “How would you like to spend a day with me and see how traffic enforcement is done?” I asked him. He lit up. “Can I?” When I told him yes, he ran to his truck and retreived a business card to give me. I promised to call the next day. When I arrived in town the next morning I checked with the detachment commander. The man that I had met was a local businessman with a good reputation. I called him and said that I was waiting at the detachment. Within 5 minutes he was seated in the right front seat of my police car, ready to go. We spent about 5 hours together doing what I did on an average day’s traffic enforcement. I stopped a variety of vehicles, had conversations with drivers and wrote tickets and warnings. In each case I explained why I had handled the situation the way I did. He commented on what he was seeing and how he felt some of the issues we faced could have been dealt with. I had the chance to learn too. From my perspective, it was a routine shift as we were not called on to handle a crash, deal with an impaired driver or find something else criminal that would tie us up for a long period of time. At the end of the tour I mentioned that I had stopped a lot of speeding drivers but had done a lot more than just write speeding tickets. He agreed, thanked me for the opportunity to ride along and headed for home. The following day I checked my e-mail and found a message from this gentleman. It never hurts to eat some crow he wrote. I thought that all you guys did was write speeding tickets and now understand more about what you really do. Thanks for allowing me to spend the day learning about it. By the end of my policing service this was no longer possible. A policy change had forbidden taking citizens out on an operational patrol. I understand why the change was made in the face of increasing risk to uniformed officers doing routine duties but it’s also an opportunity missed for a sharing of viewpoints. DriveSmart BC – What’s In Your Rear View Mirror? 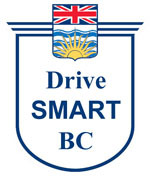 Be the first to comment on "DriveSmart BC – Traffic Enforcement Supervisor For A Day"